A much loved and enigmatic creature, puffins are easily identified by their wonderfully coloured beaks. They waddle around in a characterful fashion and make the strangest of noises. Their endearing features have been used as the symbol of children's books, and to illustrate many stamps – but they are now also appearing on lists of endangered species. On Britain's Farne Islands, numbers have gone down 12% on average over just five years, with one island's population falling by 42%. 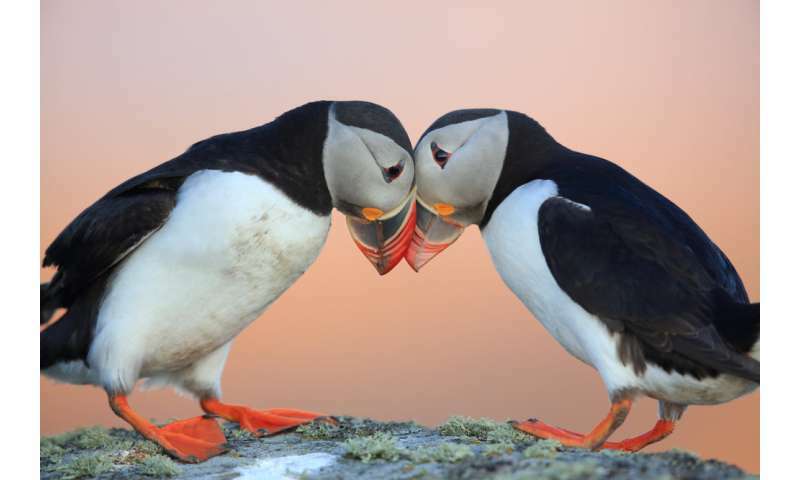 Around 90% of the global population is found in Europe, with 60% of the population breeding in Iceland (which is also home to a tradition which involves children rescuing young, wayward puffins – "pufflings" – and returning them to the safety of the sea). The UK is home to 10% of the global puffin population, breeding on many islands and mainland coastal areas.